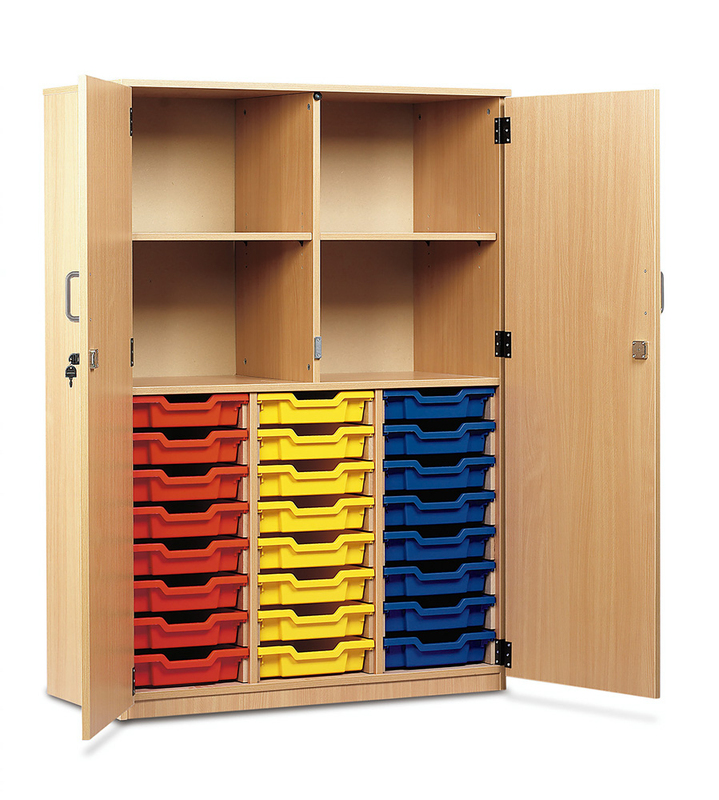 The 24 shallow tray storage cupboard is a versatile storage solution which can be used throughout schools, pre-schools and nurseries. Constructed from 18mmm MFC in a modern beech finish and complete with 4 storage compartments at the top of the unit with 24 shallow Gratnells trays in the bottom half. 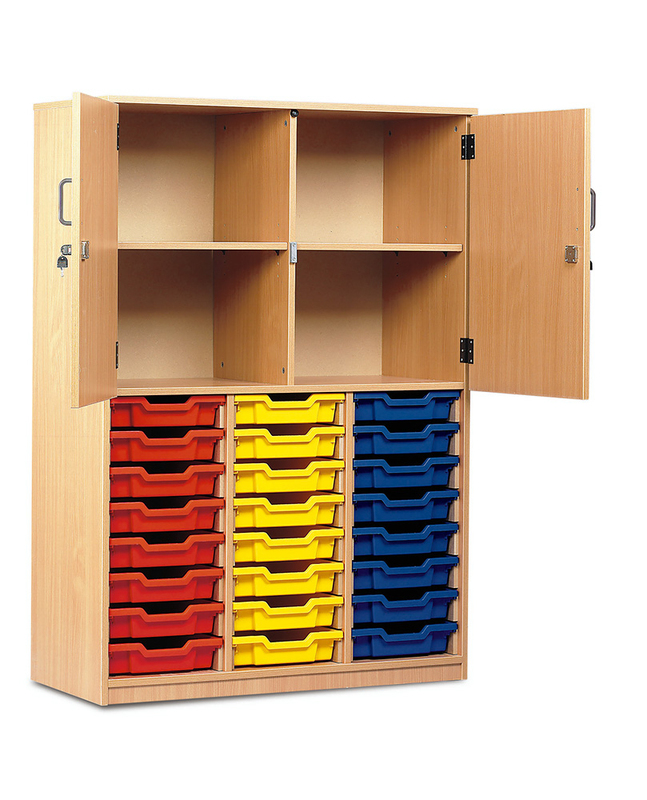 Ideal for storing toys, art supplies, paper and children’s belongings or used in the school office as stationery storage. Choose from full length locking doors or half-length doors for the top of the unit. Each unit is supplied with two keys to ensure your storage is secure. Choose from 17 eye catching tray colours. Please note: multi-coloured trays are available at no extra cost. Please Contact Us or call for more details on 01733 511121. See out full range of Classroom Tray Storage.